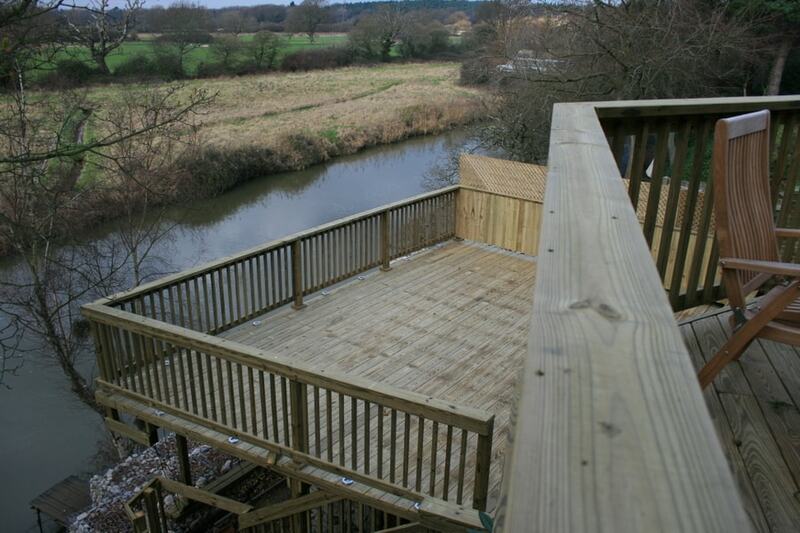 Timber decking in Bournemouth and Poole does not need to rot when built by Peter Killen Landscape Designs. We have been building decks since the late 80’s using Southern Yellow Pine Structural Timber and timber decking which is treated through to the core to last over 40 years against rot and insect attack. The first deck built nearly 30 years ago in old town Poole is still in use and helps to promote the resale of apartments and many other decks we have built still give joy and relaxation many years later. The decks are from a renewable source and the trees that were replanted to replace those of my first deck are nearly ready for harvesting for your new deck. Helping to lock in more carbon to aid climate change! A good substructure to a deck is essential as it is well known that most fence posts only last about 7 years this is the same for most decking even if the latest variations on decking in plastic or composite have a life span of over 10 or more years the substructure may be suspect to failure before then! Southern Yellow Pine decking has a natural grip without grooves which can be cleaned easily and the grain gives a beautiful and interesting finish to the surface which one does not get with hard wood or most other decking. Imitations are made but the real thing is still top. A properly built timber deck will give years of service with little need for aftercare, the natural wood is warm under foot in the winter and not scorching hot in the summer. Plastic and composites can be too hot to sit or stand on in summer. 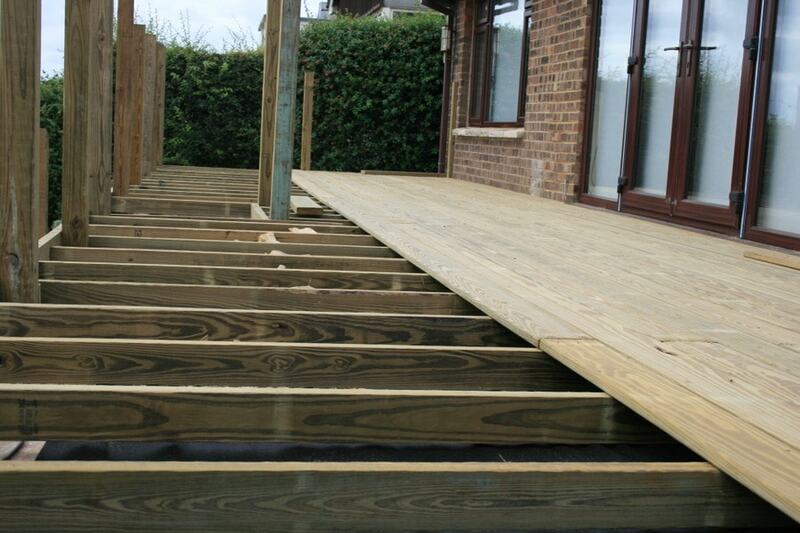 Raised decks are brilliant on sloping sites or around new build houses that need a terrace. This type of situation is a no brainer as most paved and walled terraces will settle and need relaying also the cost of filling in and building retaining walls are much more expensive than a raised deck on posts. We have decks on the side of Christchurch Harbour, Poole Harbour, overlooking the Weymouth Olympic sailing centre and Chesil beach from Portland, in many gardens in East Dorset, beside rivers and in ponds, overlooking Bournemouth Gardens and one of the Chines near Canford Cliffs. There are decks in most parts of England designed and built by Peter Killen. 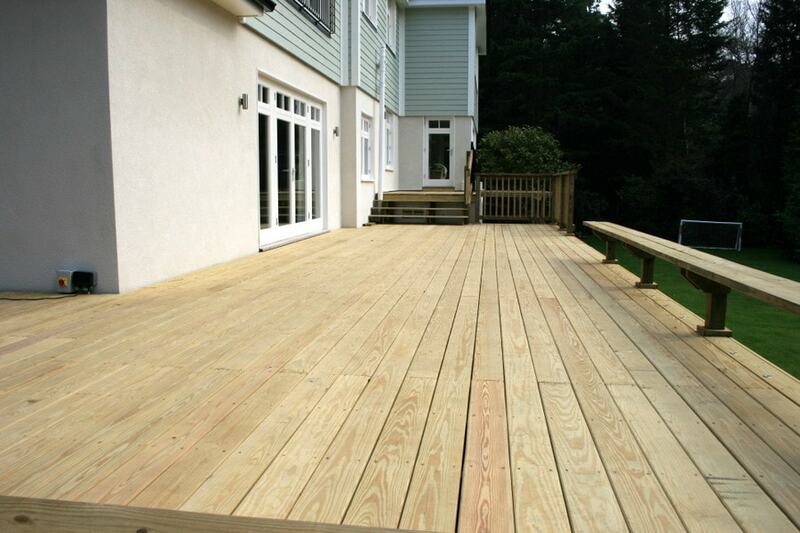 I look forward to creating your dream deck possibly with Seats, Balustrades, Steps, or even a cantilever construction. Enjoy that glass of wine resting on the flat top of the Balustrade overlooking your property or scenic view.